1923 Feb 16, In Egypt the burial chamber of King Tutankhamen’s recently unearthed tomb was unsealed by archeologist Howard Carter. 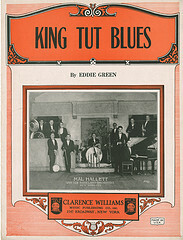 In June, 1923 my father, Eddie Green, had his song, “King Tut Blues” copyrighted. It’s really small, but you can see his name right in front. 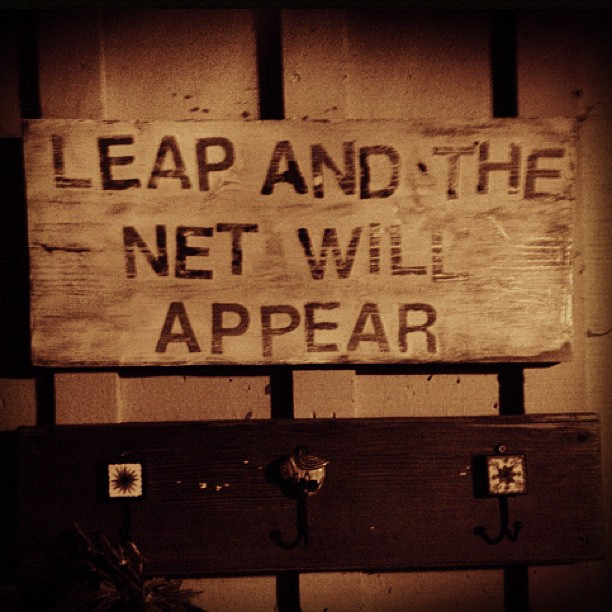 SOMEone who reads my blog sent this picture to me. So cool. I posted a few days ago about this song that was written by my father in 1923, and I have received information which is going to help me in my quest to locate the copyright documents. I call it a quest because I know where the documents may still be, but in order to get them I must have lots of money to pay the Copyright Office for searches. I have received the words to this song and it turns out that King Tut’s blues had something to do with his mother-in-law. In 1923, Clarence Williams had just moved into New York, when he became the publisher for “King Tut Blues” and another song titled “The Right Key, But The Wrong KeyHole”, words and melody by my father. Along with writing these songs, Eddie was also performing in a couple of plays in New York, “Plantation Days”, at the Lafayette Theater, after which he did a play titled “All In Fun” , for which he wrote his own songs, at the Yorkville theater. Then it was on to the Palace in Baltimore, to Toledo and to Ohio, then back to New York by 1924. Somewhere along in here, my father got married for the first time and had a daughter. His daughter was born about 1923. I have no memory of her as I only saw her once when she came to my Eddie’s funeral in 1950. My mom told me that she and Eddie’s daughter were the same age, and they did not get along. 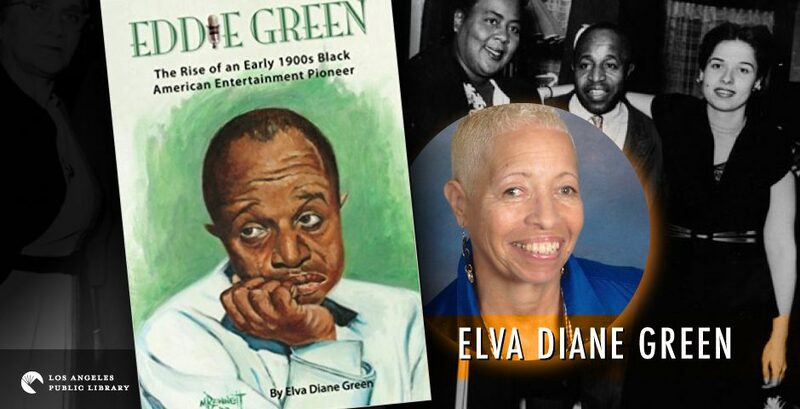 I actually found an article with a little blurb about Eddie Green’s daughter rushing to his side. If she is still alive, she would be about 91 years old today. I have not had much luck in finding my half-sister, nor have I been able to locate any information about Eddie’s parents. It is difficult to locate folks from 1950, not to mention trying to find someone from the late 1800’s. Since Eddie was born in 1891, records from that time may be forever lost. I have been able to follow Sinclaire up to her death here in Los Angeles, thanks to newspaper articles and my mom, of course. 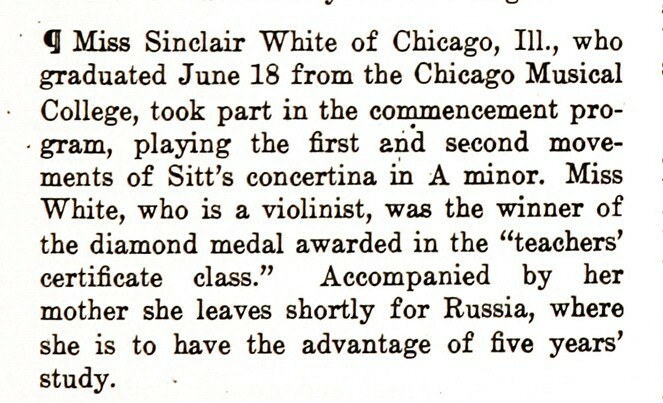 Sinclaire became a violin teacher and started her own Music Arts Association in the 1920’s. She started my mom on the violin and piano at around age 7. There will be a chapter or two about my mom in the book I am writing about Eddie, so I want to incorporate some of her story here into this blog. I do not remember my grandmother and I have only seen one picture of her. One of those black and white pictures where she has on a high neck white dress and her hair is piled on top of her head, very victorian looking and very stern. Later, in 1945 when Sinclaire and Eddie met, and Eddie began to court my mother, he discovered that he, too, might wind up with mother-in-law problems. I have discovered that I enjoy writing. I don’t have any lofty aspirations in this regard, I simply want to get down on paper the accomplishments of those family members who have contributed much to society, but have pretty much been forgotten. I appreciate my readers because they let me know that I can, in fact, write a book that people will find interesting and, perhaps, inspiring. Previous PostTwo Tremendously Inspiring GentlemenNext PostYES! Just What I Needed To See.